I love sitting out on the deck or working in the yard and hearing the wonderful sounds of the birds singing their songs. I have to admit in the past I have always bought my bird feeders but I have to say this year I plan on making my own. 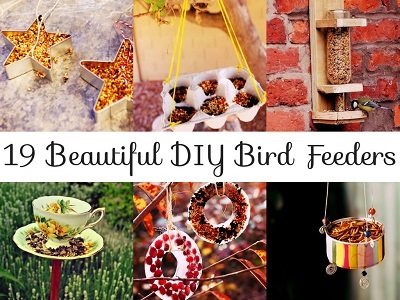 Here is a great list of 19 Beautiful DIY Bird Feeders so you yourself can get creative and make your own bird feeder for your yard. Have a look through this list as I am sure you are going to find an idea that you love.